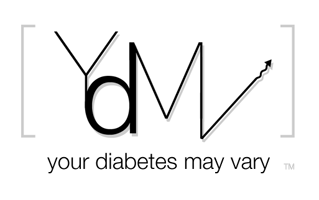 Your Diabetes May Vary: Diabetes Art Day Fans - A Favor Please? I love diabetes art day. It's brilliant. 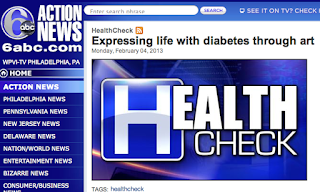 The good folks at the local news posted a web print story about it. Let's bury it with positive feed back. Make them want that kind of response again and maybe do an on air feature. I like the way you think, sir! Thanks for sharing this and getting word out about it! Absolutely love D-Art Day, too - even though I'm the most unartistic guy around!! Always hesitate to make something myself, thinking it won't be any good, but then have SO MUCH FUN actually digging in and making something. Can't wait to spend more time this weekend going through the galleries to see all the cool D-Art! It was really nice to see Lee Ann's work be noticed in main-stream media. Thanks for making sure we saw it!